Sinwan G80-P/GRM80. ABS Plastic Fan Guard and Foam Dust Filter. Inner guard screws directly to the fan or case. Good quality, of tough and flexible ABS plastic construction. To suit 80mm x 80mm cooling fan. 10000Pcs Turf Seeds Tall Fescue Green Grass Seed Festuca Arundinacea Lawn Field. High Quality Motorcycle 72W LED Headlight Fog Light 3000K/6000K for Motorcycle. Electric Bathroom Long Handle Bath Brush Body Back Cleansing Sonic Vibration. To suit 80mm x 80mm cooling fan. Black ABS plastic fan finger guard with removable filter. The unit is 3 piece ie. the initial 120mm guard is screwed to the fan. the washable filter is inserted and the attractive outer guard is snapped into place. Size:12cm (for 12cm fan ). Color : Silver Tone. An ideal protection against injuries caused by rotating fan blades. Fit for : 80mm Fan. Color: silver, and more details are shown in pictures. Model: For 150mm CPU Fan in PC System. Fan Grills / Guards are ideal for improving the appearance and safety of your blowhole modifications or other system fans. Ideal protection against electronic parts injuries caused by fan blades' rotating. Size:4cm (for 4cm fan ). Material : Stainless Steel. Available in 8cm & 12cm (80mm or 120mm). Protects your internal components from dust and debris! - Thermal Grease Paste & Thermal Plaster Glue -. Simple and elegant appearance! Chivs86 PC Cooling Supplies. MULTICOMP MC0908-GFan Finger Guard, Grille. Size:12cm (for 12cm fan ). Material : Stainless Steel. Suitable for 80mm case fan. An ideal protection against injuries caused by rotating fan blades. 1x Fan guards. Color: silver, and more details are shown in pictures. Suitable for 40mm x 40mm PC case fan. 40mm PC case fan filter. Sponge Filter - Durable and easy cleaning. Protects your internal components from dust and debris. Removable front plate, back plate and middle filter. Span of your fan. Minimize the noise from the fan and extend the life-. 14cm PC Case Fan. When the fan in your PC blowing cool air inside a. Help to keep your PC and PC components clean. Computer case, it can also take in dust and dirt. 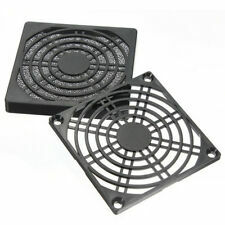 2 x Computer Case Fan Dustproof Dust Filter. 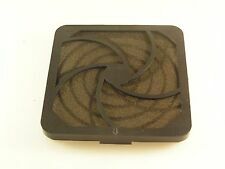 When dust gathers on the interior of your computer, this filter spares you the trouble of cleaning your heatsink as only the filter set needs replacing. 80 x 80mm (L x W). Washable, easy to clean. Suitable for 90mm x 90mm PC case fan. 90mm PC case fan filter. Sponge Filter - Durable and easy cleaning. Protects your internal components from dust and debris. Removable front plate, back plate and middle filter. Suitable for 40mm x 40mm PC case fan. 40mm PC case fan filter. Sponge Filter - Durable and easy cleaning. Protects your internal components from dust and debris. Material: ABS Plastic Nylon Fiber. Removable front plate, back plate and middle filter. Size:6cm (for 6cm fan ). Material : Stainless Steel. Ideal protection against electronic parts injuries caused by fan blades' rotating. Suitable for 150mm x 150mm PC case fan. 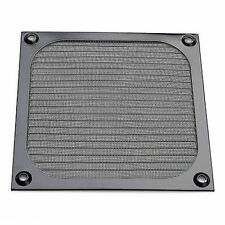 150mm PC case fan filter. Sponge Filter - Durable and easy cleaning. Protects your internal components from dust and debris. Removable front plate, back plate and middle filter. An ideal protection against injuries caused by rotating fan blades. Color: silver, and more details are shown in pictures. New Thumb Stick Joystick 3D Analog Sensor Rocker For Nintendo Switch Joy-con. 1080P HDMI TV Adapter Cable for connect Samsung Galaxy S8 / S8 Plus to HD TV. 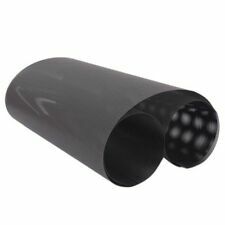 Material: pvc material. Parallel Pitch: 10.5cm (cm).